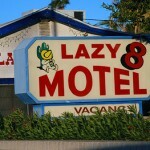 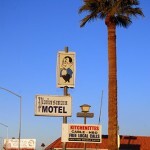 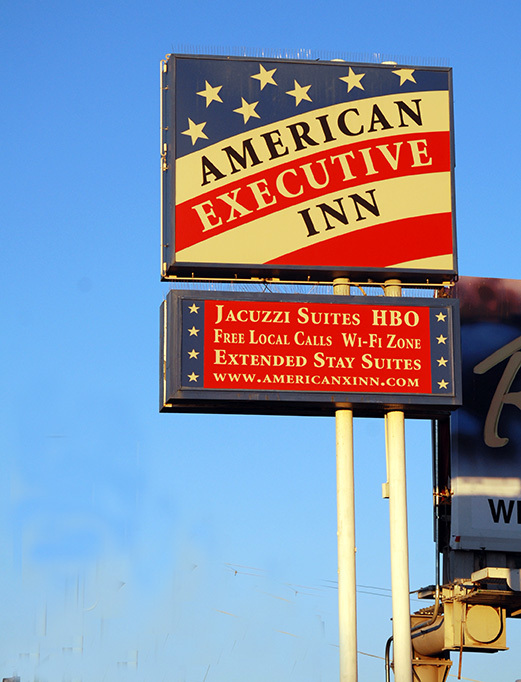 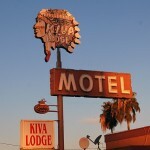 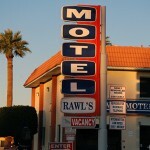 These photographs were taken early one morning, along a short span of Apache Blvd. 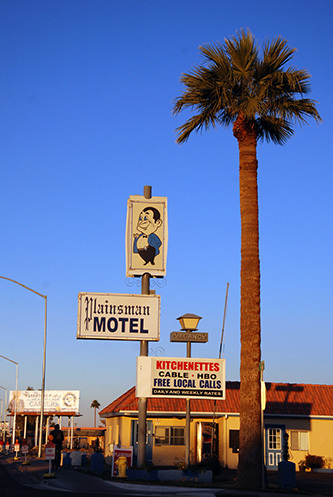 in Mesa, Arizona. 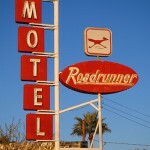 They are American road signs, a lost art form rapidly going the way of the dinosaur. 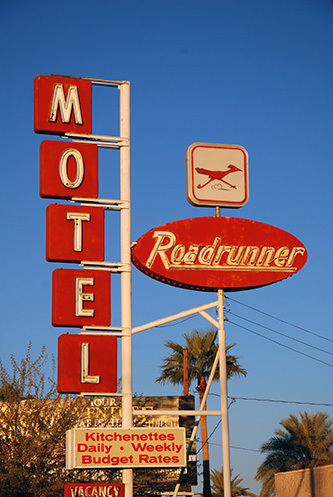 Much of this art faded with the iconic RT 66 and other highways of the pre interstate system. 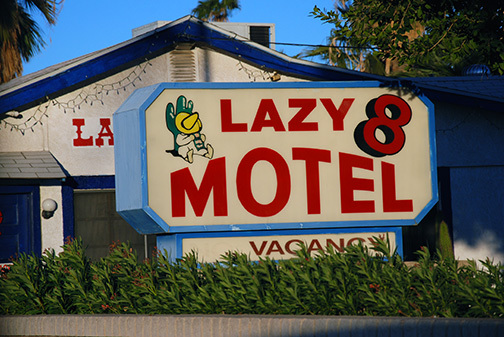 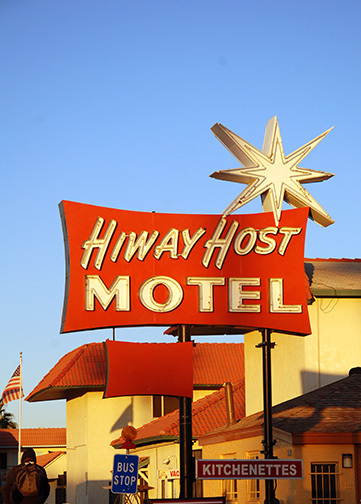 Our family stayed in many of these “motels” that boasted unusual and creative, often humorous, marquees, that stretched along our highways. 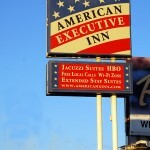 One such stay found us in an establishment that had us sleeping in both North & South Carolina simultaneously. 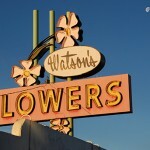 There is a creative beauty connected to these signs, so watching them disappear elicits a sadness for my artistic eye. 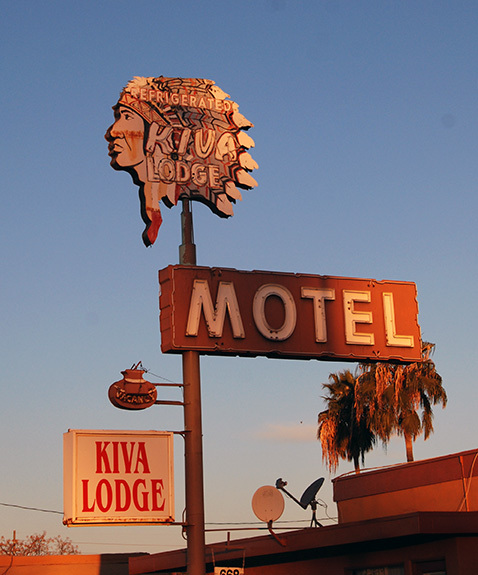 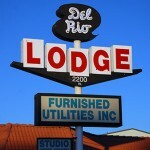 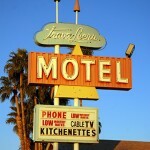 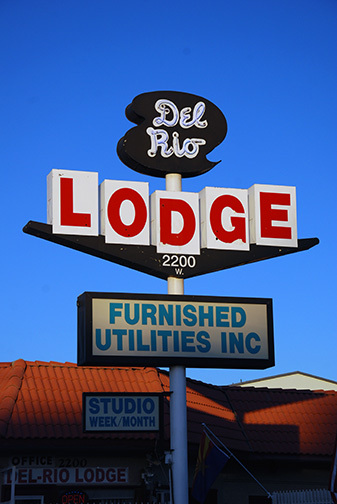 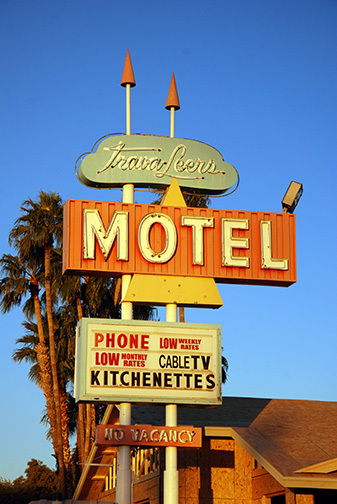 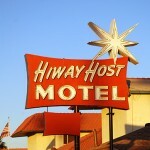 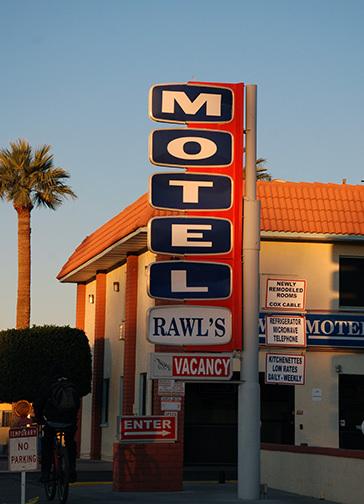 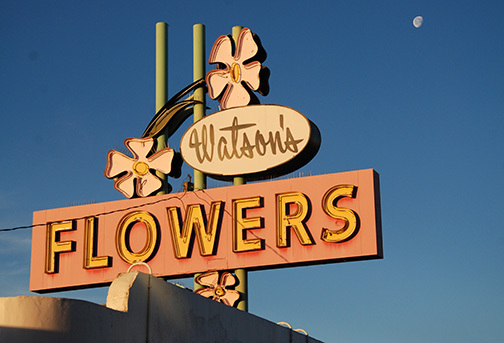 In my travels I am diligent to seek out the symbols of our past that still proudly mark a different era in our advertising history, whether they are motel, restaurant or local businesses.